Tell us about yourself? Describe your role with Von Bugle. My life can be summed up in 3 B’s – Bikes, Bass, and Beer! When I’m not at work you’ll find me playing gigs around the city or riding all the beautiful trails Toronto has to offer, and both of those activities are perfectly capped off with a couple Von Bugles. 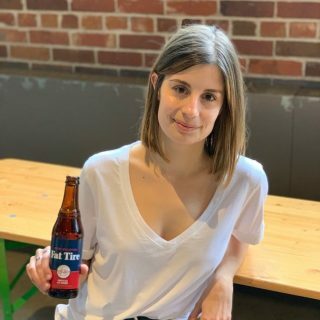 My role is Brand Manager for Von Bugle, this means I have the pleasure of working closely with our sales and marketing teams to ensure we’re getting our beer into as many hands as possible and creating new loyal fans. 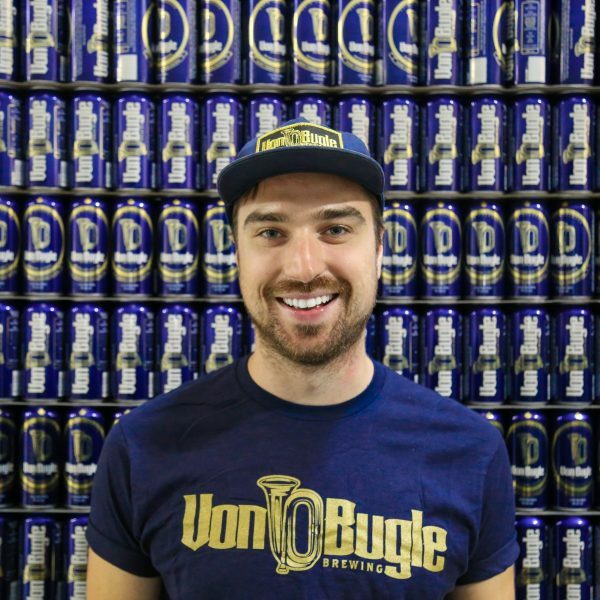 What’s your favourite aspect of working with a brewery like Von Bugle? The best part is definitely the people. 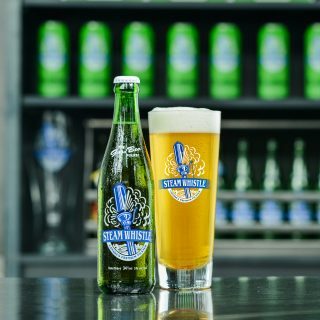 The Steam Whistle and now Von Bugle family has become such a huge part of my life since joining the company, and I look forward to coming to work and seeing all my colleagues every single day. It’s also very rewarding to work for a company with such a dedication to our craft – there’s no shortcuts in brewing the incredibly high quality beers that we do, and we all take pride in that. Tell us about Von Bugle. Where did the name come from? Von Bugle, in its German styling, is an homage to the European brewmasters and brewing traditions we’ve always celebrated. The bugle itself is one of the earliest instruments that would have been brought to Canada along with those brewing traditions, and back then the bugle call would be used bring communities together to drink and celebrate. The special thing about Von Bugle is the way it defies preconceived notions about darker beers – it’s a full flavoured beer that doesn’t sacrifice sessionability. This is a testament to our dedication to traditional European lagering and long cold ageing, it’s these methods that provide Von Bugle it’s unique smoothness and balance. Where is your favourite place to enjoy a Von Bugle (other than the Square House)? Famoso Pizzeria in the Annex! I’m the (self proclaimed) biggest pizza lover at the brewery, so of course I love to drink a couple bugles with a great pie! The staff and vibe here are just as great as the pizza itself, definitely worth a visit.